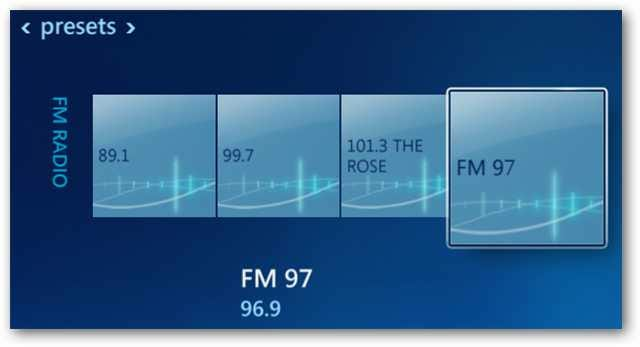 If you have a supported tuner card and connected FM antenna, you can listen to your favorite local over-the-air FM stations in Windows 7 Media Center. 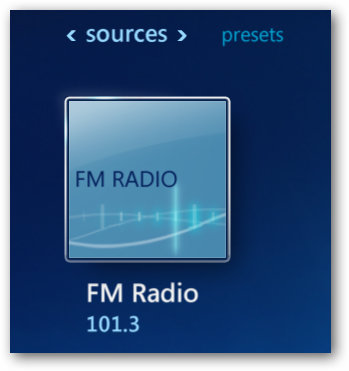 Before the FM radio option will be available in Windows Media Center, you’ll need to have a TV or Radio tuner card installed and configured. If you have a TV tuner card installed, you may already have a Radio tuner as well. Many TV tuner cards also have built in FM tuners. The radio will turn on and you’ll see the current station number listed in the white box. Just below are standard “Seek” and “Tune” buttons, as well as “Preset” options. Tuning works just like a typical FM radio. 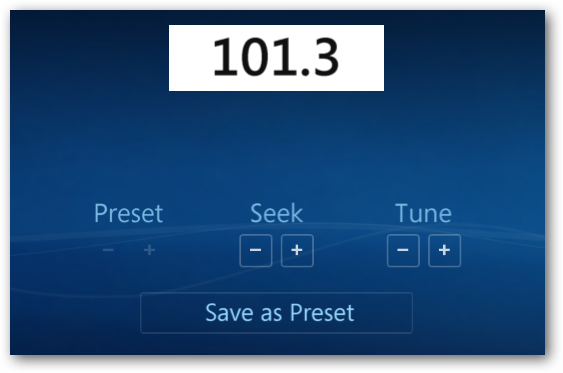 Click on the (-) or (+) buttons to “Tune” or “Seek” up and down the dial. If you already know the frequency of the station, enter the numbers using the numeric keypad on the remote control or keyboard. 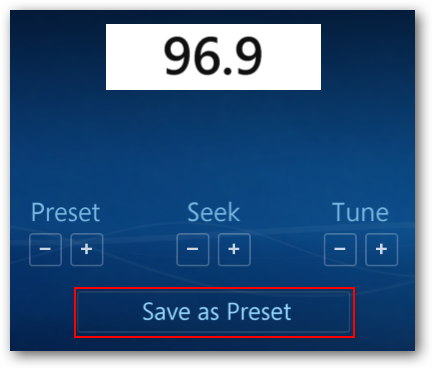 To save the current station you’re listening to as a preset, click on the “Save as Preset” button. 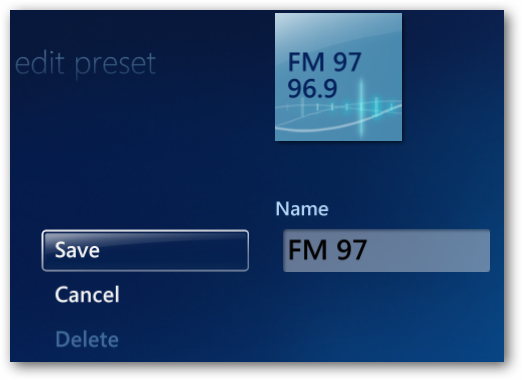 Once you set your presets, they will also be available on the main FM Radio screen. The transport controls at the bottom of the screen also allow you to control Volume, Pause, Play, Skip back, and Skip forward. Fast Forward and Rewind, however, are not supported. This is a nice option if you’d like to listen to your local FM favorites on your computer, especially if those stations aren’t available online. If you don’t have an FM tuner and want to listen to thousands of online radio streams, check out our article on RadioTime in WMC.